The world is now at the mercy of Millennials, a generation composed fiery twentysomethings poised to take over the world. Armed with confidence, ambition, and their reliable gadgets, this batch of young professionals are more than ready to take over the workforce. 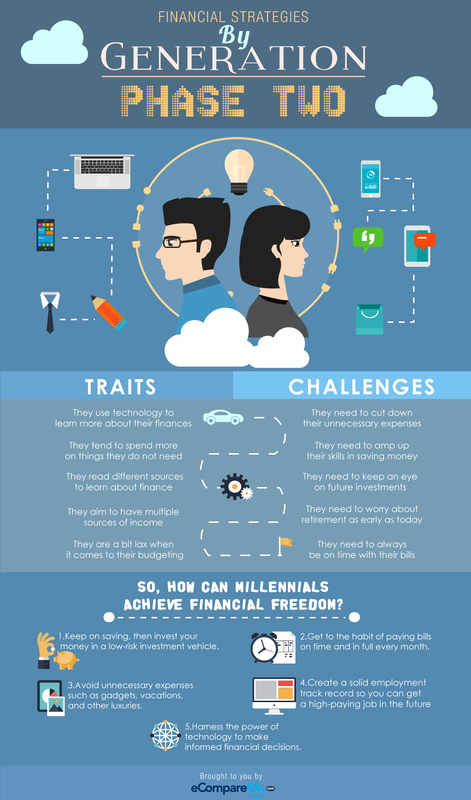 While they may have the fuel to succeed in life, how do they fare when it comes to handling their finances and how can they adjust their sights towards financial freedom? NOTE: THIS IS THE SECOND INFOGRAPHIC OF A THREE-PART INFOGRAPHIC SPECIAL FOR THE FINANCIAL LITERACY MONTH. TO READ THE FIRST ONE, CLICK HERE. 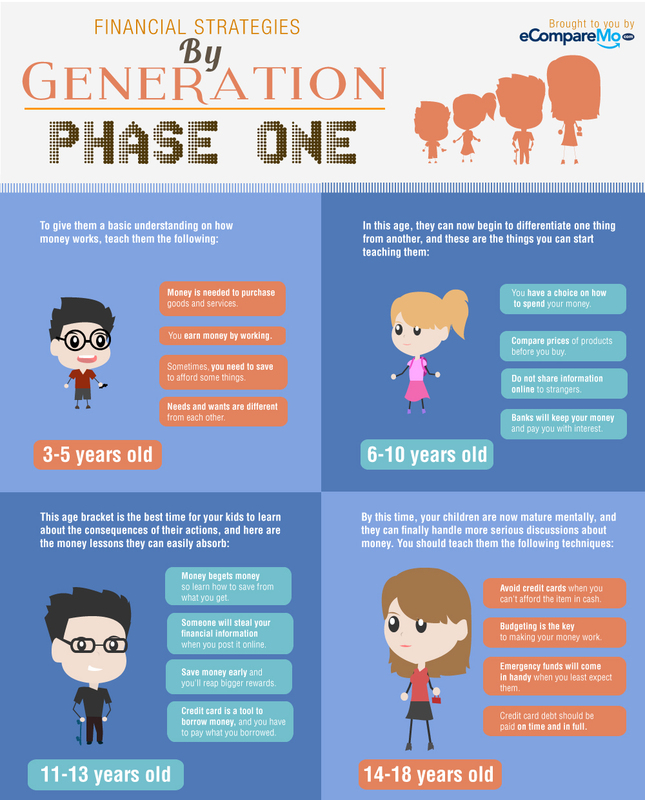 With these step-by-step financial lessons, you can be sure that your child will grow up with a very strong foundation of personal finance and money handling. Once they become part of the workforce, they will know the value of money and thank you for guiding them all these years. Today’s yuppies have the tools to make it big, but they still have a long way to go when it comes to developing sound financial habits. It is never too late for them to change their ways for the better and achieve financial freedom early in their lives.